Today was September 11th, 2005: a Sunday. As with most Sundays, I started it with church. 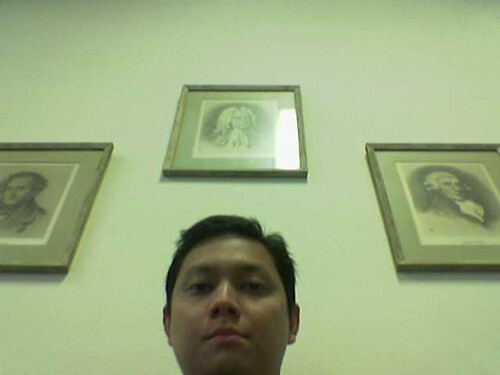 Here is me in the choir rehearsal room, where the choir practices before and after worship. Flanking me are Franz Schubert, Johann Sebastian Bach, and Franz Josef Haydn. After service a small group of us went to join the DC Unity Walk, an interfaith walk down Massachussets Ave to build peace and friendship among DC’s religious communities — Christian, Jewish, Muslim, Hindu, Sikh, Buddhist, and others — acknowledging our differences while meeting on common ground to work together for a better city and nation. 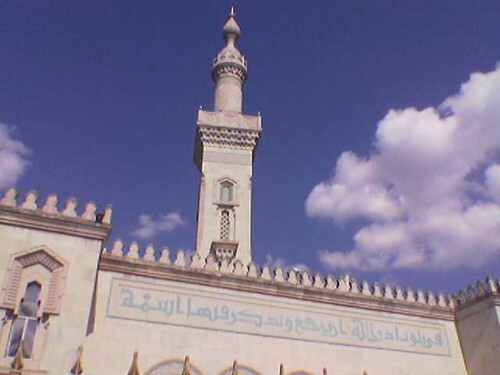 Pictured above is the Washington Islamic Center. Today was my first time to see inside Hebrew and Muslim houses of worship. Keith from DCDL joined us, and got to see me twist my ankle very painfully outside the Naval Observatory. Later in the day, I watched Lawrence Schreiber, our choir director and associate pastor for music at First Baptist DC, play a moving 9/11 memorial organ performance at the Kennedy Center Millenium Stage. 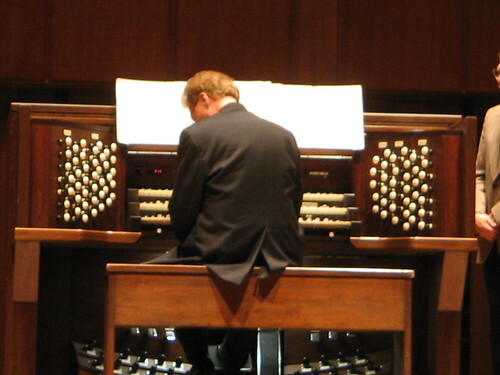 Wonderful music from a wide gamut of classical eras, plus the premiere of “A Tribute to American Heroes,” an organ composition by Dr. Schreiber himself. His renderings of Myron J. Robert’s “In Memoriam” and Bach’s “Now Thank We All Our God” were my personal favorites. This lovely scene on the River Terrace presented itself on emergence from the performance: twilight over the Kennedy Center River Terrace. On my way back to the Metro from Kennedy Center, a fellow choir member from church pointed me to the Safeway hidden in the bowels of the Watergate Hotel — “Senior Safeway,” as the DCist Grocery Politics guide calls it. This saved me the trouble of making a Metro stop elsewhere to pick up rice, broccoli, baby spinach, and Nyquil. 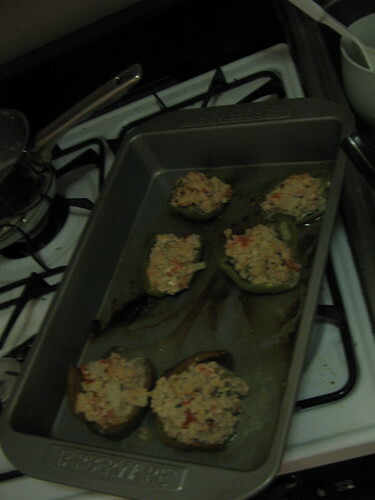 Dinner consisted of baked peppers stuffed with chicken, a recipe I improvised on the fly, thanks to a lovely batch of fresh green and violet bell peppers from Amy’s mom’s vegetable garden. With rice and broccoli, a nice, light dinner to cap off a day of walks, music, and memorials.